Escape the urban bustle at Cinque Terre Trails and Parco Nazionale Cinque Terre. 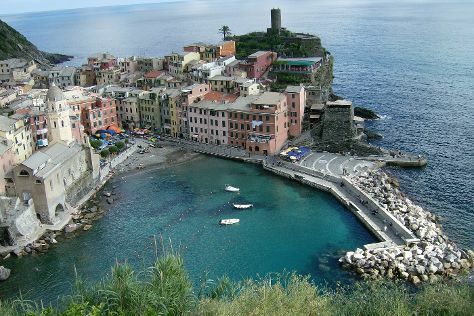 Venture out of the city with trips to Vernazza (in Vernazza) and Footpath Monterosso - Vernazza (in Monterosso al Mare). There's still lots to do: contemplate in the serene atmosphere at Cattedrale di San Lorenzo - Duomo di Genova. To see reviews, maps, traveler tips, and tourist information, go to the Genoa travel itinerary planner. If you are flying in from Belgium, the closest major airports are Genoa Cristoforo Colombo Airport and Villanova D'Albenga International Airport. In September, daytime highs in Genoa are 28°C, while nighttime lows are 21°C.